The New York Police Department said Friday that James Polite, 20, of Brooklyn, was arrested in connection with anti-Semitic vandalism discovered at a synagogue the day before. The discovery had led to the cancellation on Thursday of a political event hosted by "Broad City" co-star Ilana Glazer. 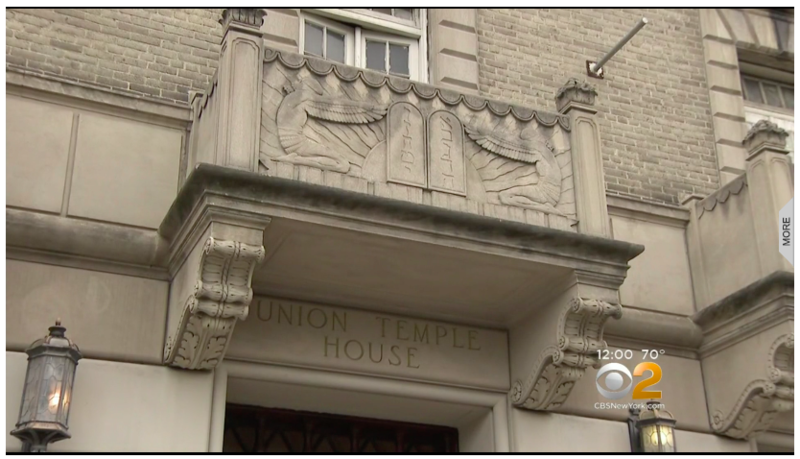 The NYPD's hate crime division responded to complaints of vandalism in Prospect Heights' Union Temple on Thursday evening after congregants found hate speech, including "kill all Jews", written in black marker within the synagogue's stairwell, CBS New York reports. The suspect also drew a picture of the Puerto Rican flag and wrote "Free P.R." The temple was set to host a interview with two local politicians moderated by comedian Ilana Glazer, but organizers of the event decided to cancel, citing safety concerns. "We will not stand for this kind of activity in New York City," said NYPD Chief of Detectives Dermot Shea, calling the slurs "pretty derogatory" and "hate filled." Police said Polite was seen on a surveillance video wearing a red suit jacket and using a black marker to write messages throughout the building before fleeing. The vandalism comes less than a week after 11 people were shot and killed inside a Pittsburgh synagogue in the deadliest attack on the Jewish community in U.S. history. During the press conference, Shea said that hate crimes in New York were up 1 percent in 2018, and anti-Semitic crimes, like Thursday evening's, had been spiking the past 28 days. The city's police department has increased patrols at the synagogue and other places of worship. Synagogue leaders at Union Temple say Shabbat services will go on as scheduled Friday night and Saturday morning. "I got back from Pittsburgh on Wednesday after visiting the community there and seeing really the utter brokenness of that community and what they're going through," said Rabbi Jon Leener. "And then to come back here and to feel unsafe here is really concerning." A preschool that operates in the building was also closed Friday. "I'm just horrified. I work at the school here, the preschool. There's little kids in the building, and it's just, it's so upsetting," Janet Weeks told CBS New York. The cancelled event was to have featured Glazer interviewing State Senate candidates Andrew Gounardes of South Brooklyn and Jim Gaughran of Long Island. "Tonight's attack, right here in a temple in Brooklyn – is a painful reminder that anti-Semitism and prejudice are alive and well in our own community," Gounardes wrote in a statement released Thursday evening. "Now more than ever, we have an obligation to reaffirm our commitment to tolerance and send a clear message that any individual or group who promotes violence and hate is not welcome in our City." Gaughran also spoke out against the slurs during a Friday morning rally. "This is a hate crime, and I think it was important that they cancelled the event so that we make sure everybody was protected," he said.